A proposed uranium mine in western South Dakota's Black Hills may have gotten a license to operate last week, but opponents say the company will have to clear several hurdles, as they'll fight the move. The US Nuclear Regulatory Commission’s controversial ruling comes four months in advance of a public hearing the body had scheduled to hear arguments against Powertech Uranium’s (TSE:PWE) proposed mine and in situ recovery facility, AP reports. The regulator concluded the plant’s operation would be safe enough, “including management of radiological and chemical hazards, groundwater protection, and eventual clean-up and decommissioning." In a statement, Powertech President and Chief Executive Officer Richard Clement said the company had confidence in the team that put together the application. “The issuance of the NRC’s final license is the culmination of eight years of planning and evaluation and confirms again that our plan for in situ recovery mining at Dewey-Burdock is safe and will have minimal environmental impact,” Clement said. Opponents fear that the mining would pollute the environment and upset American Indian burial grounds and said they would ask a judge to issue a stay against the license. "Just because a pro-nuclear agency has given this a green light doesn't mean it's a good idea," Lilias Jarding of Clean Water Alliance told the Rapid City Journal. 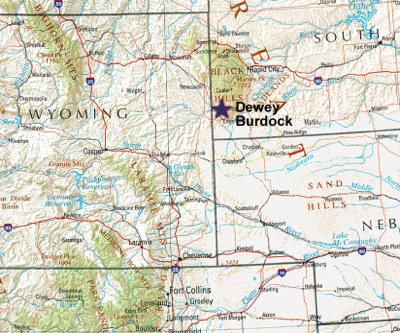 Backers argue the proposed Dewey-Burdock mine would bring jobs to the area and tax revenue to the region and the state, note supporters. Powertech is merging with its largest shareholder, Azarga Resources. The new company will be known as Azarga Uranium.